Looking to replace an old bathtub or find a stylish new tub for a remodel or as part of a new construction? This buyer's guide will walk you through the process. We explain the three installation options -- alcove, drop-in and freestanding -- as well as the types and styles available within those categories. There are plenty of choices when it comes to bathtubs, but if you are looking to replace an existing tub, either because you need a new tub or as part of a bathroom remodel, you will probably find your bathtub choices are limited from the beginning. 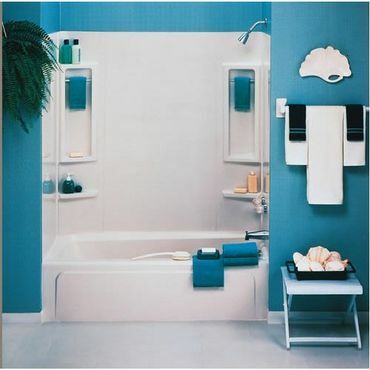 The placement of walls and plumbing fixtures may mean you have to replace the old tub with one that's very similar. This makes the cost if a new tub difficult to estimate because there are so many variables. A very basic, alcove-style bathtub can be had for as little as $200, but super fancy models can cost thousands or even tens of thousands of dollars. And that doesn't include the cost of the tub's installation, which can add $1,000 to $3,500 -- or more -- to the bill. And if you're renovating an existing bathroom, the price tag can run even higher if you decide to relocate plumbing fixtures. Knowing this, it's easy to see why it's important to do your homework when choosing the best bathtub for your home. As for materials, the choices are similarly endless. Acrylic, fiberglass, enamel-coated steel or cast iron are the most common, along with proprietary materials specific to each manufacturer that are an amalgam of steel and iron. In addition, it's possible to find tubs made from copper, wood and stone, or composite materials made to look like stone. 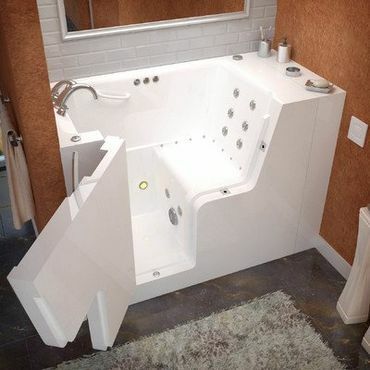 We don't name the best individual bathtub models in this report because the variety of products is far too vast, and variables, such as installation requirements, are far too complex. Instead, this buyer's guide is intended as an educational tool to explain many of the factors related to purchasing the right tub. We delve into installation options, which include alcove style, drop-in and freestanding bathtubs. 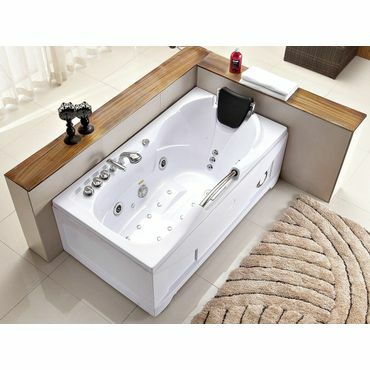 Then, we discuss the most popular types of tubs more specifically, giving you in-depth information on soaking bathtubs, whirlpool bathtubs and walk-in bathtubs. We hope this guide will be a great tool to help you find the best bathtub for your home and lifestyle.